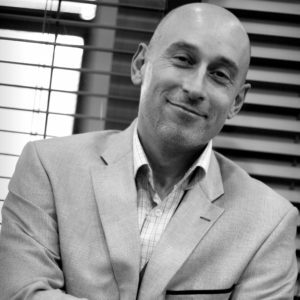 Vladimir is an experienced and inspirational leader, coach and lecturer. Vladimir actively supports managers at different levels on their leadership journey of self-discovery, employee development, employee motivation and peak performance. Vladimir has accumulated a solid professional experience in people motivation and development by leading 12 successful teams with three market leaders – Xerox, Avon Cosmetics and AUBG. From 1995 till 2005 Vladimir worked with Xerox Corporation in Central Eastern Europe region. In 2005, he joined Avon Cosmetics in Central Eastern Europe as Sales Director for Bulgaria, and later for Macedonia and Albania. At the end of 2007, Vladimir took over the general management for the three countries and from the middle of 2009 became Director for Bulgaria, Hungary, Serbia, Macedonia, Albania and Montenegro. Vladimir holds a Bachelor’s degree in Business Administration from AUBG and an MBA degree from IESE Business School, Spain. He is a Professional Certified Coach (PCC) with the International Coach Federation (ICF) and a faculty member of the American University in Bulgaria (2010 – 2017). Starting from 2018, Vladimir facilitates his own leadership development program for senior managers. More about Vladimir Borachev at www.borachev.com.